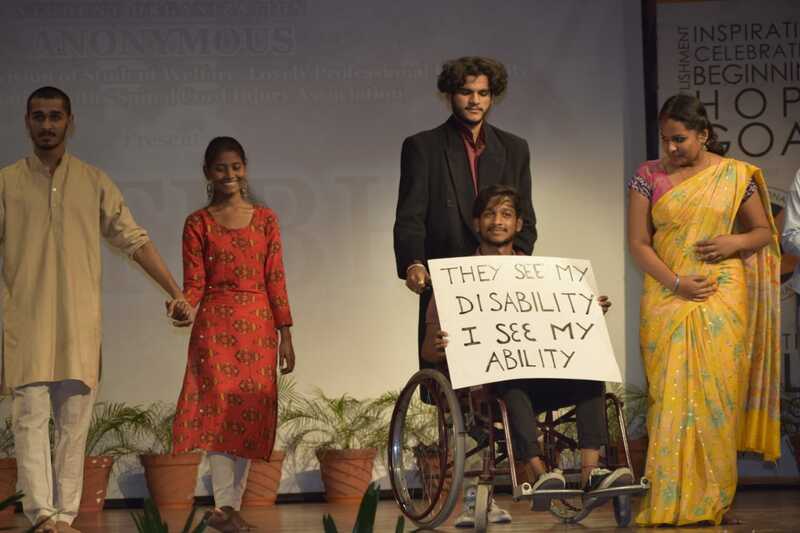 With the noble objective of acknowledging the abilities of the physically disabled people, Student Organization “Anonymous“, under the aegis of Division of Student Welfare, Lovely Professional University, in association with “Spinal Cord Injury Association” organized “Pratibha – Shine and Let’s Fly” on 11th April in the Shanti Devi Mittal Auditorium, LPU. Among the many tales of bravery which were discussed, some light was shed on the influential story of the first female amputee to climb the Mount Everest and Mount Vinson, the 30-year-old Arunima Singh who lost her legs in a terrible train accident. 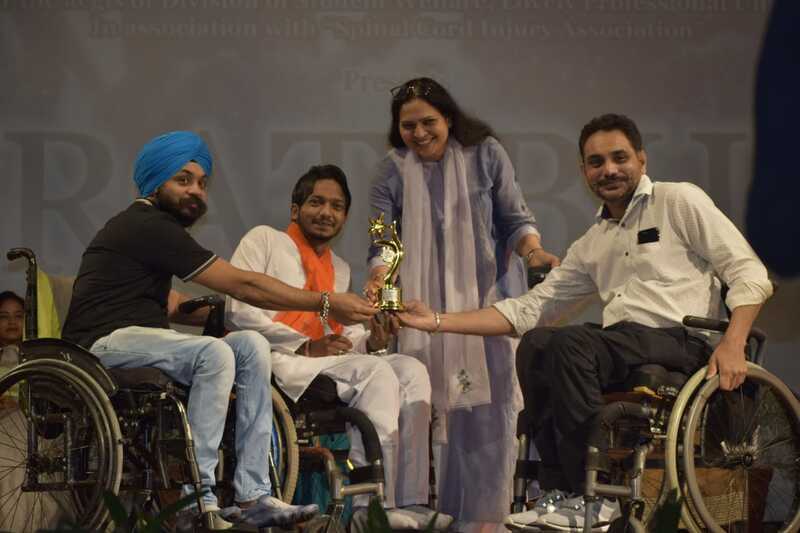 Followed by the felicitation of guests by Mr. Dawender Singh, Vice President of the Spinal Cord Injury Association, the lamp was kindled by the dignitaries including Mr. Pervinder Singh Sonu, President, Spinal Cord Injury Association. 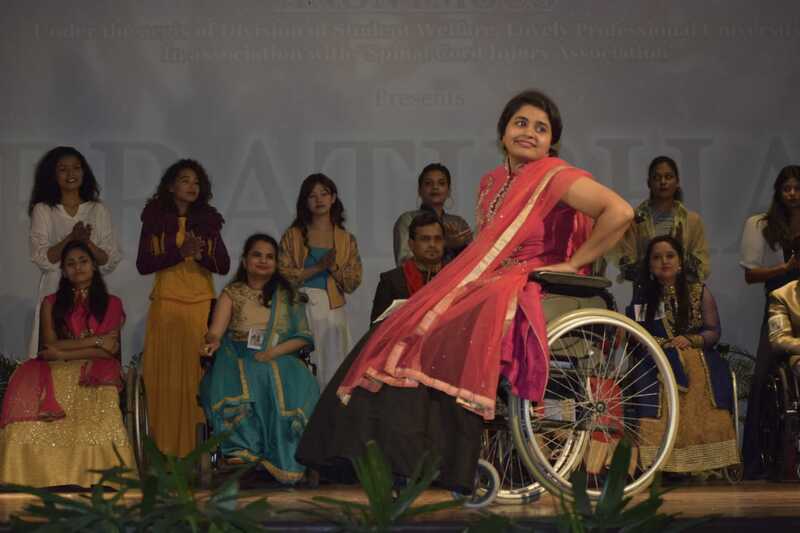 Sparking the imagination of the audience, the specially-abled participants added delight to the evening when they showcased their beauty and style wearing the outfits designed by the Fashion Designing students of LPU. 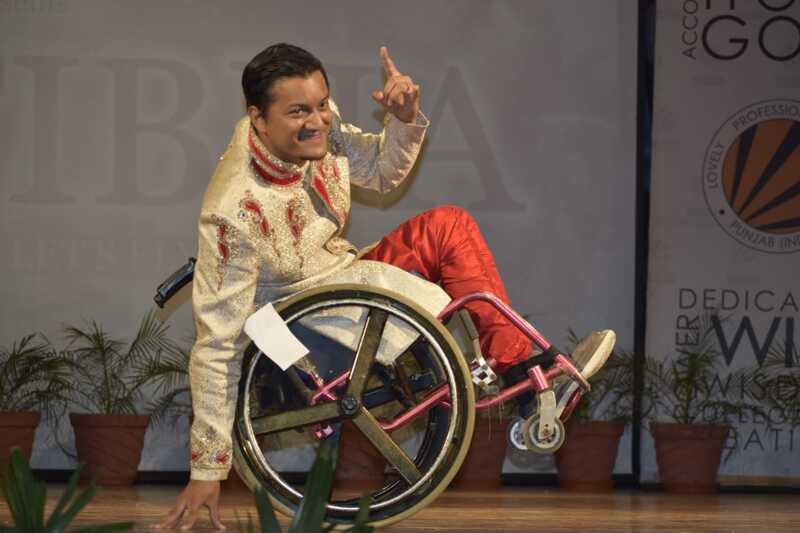 They also elated the audience with captivating wheelchair stunts. 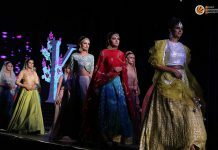 The fashion block students also accompanied the participants to kill the perception of disparity. The fashion show was judged by Ms. Talented LPU 2019, Mr. Talented Africa 2019 and a well known Choreographer and Designer. The titles, Mr. and Mr. Pratibha were won by Shubham Wadhwa and Anju Mainke respectively, while the runner-up titles of Mr. and Ms. Talented were won by Firoz Ahmed and Aarti respectively. Enlightening everybody in the audience with his words of wisdom, Mr. Dawendar Singh said, “They call it a disability, we call it different ability.” He also shed light on how the event was planned out of the simple intention of completing a college project by two students of Journalism in LPU, Sangeeta and Pratibha. He announced that this event would now be regularly conducted in the university and it will mark the beginning of a separate association for students with Spinal Cord injuries in LPU. Towards the end of the event, the student members of the SPIA gave a mesmerizing singing performance, making the audience swoon with the melodious tunes of some old Hindi songs. 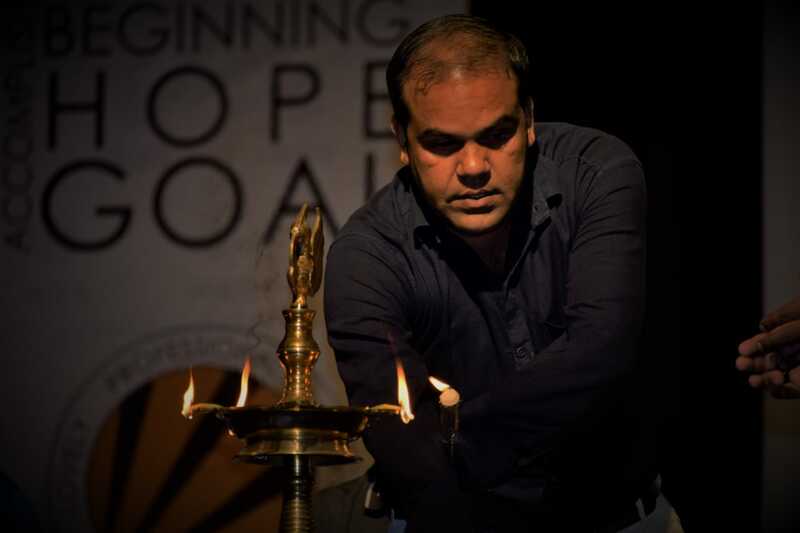 They also presented a stimulating patriotic dance performance followed by some flowing words of Poetry. Mr. Ravi shared his inspiring words about the challenges faced by specially abled people, shared the importance of doctors in their lives and also thanked LPU for consistently providing help to such students and giving them a completely unique platform.